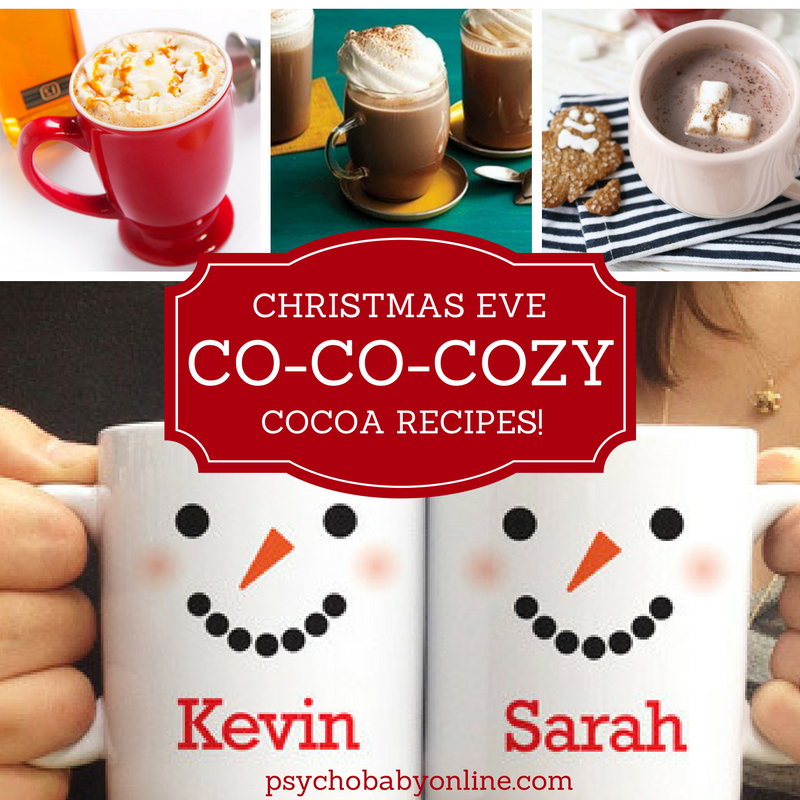 These yummy hot chocolate recipes will co-co-cozy up your cocoa this Christmas eve! Because these are *very* special recipes for big kids only. (Like, over 21 kids.) 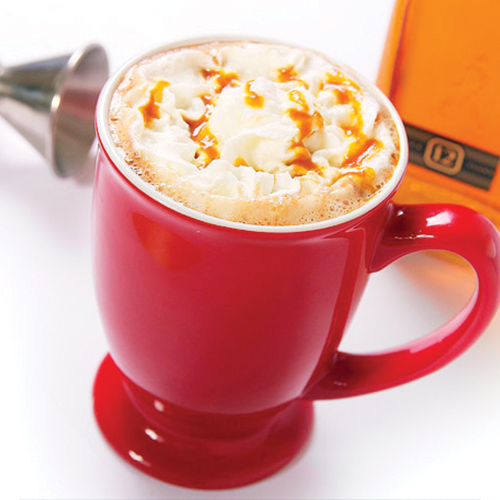 We’re pretty sure Santa won’t mind if his cup has a little extra somethin’ somethin’ in it! Heat milk to scalding in a medium saucepan. Add cinnamon, mint, or vanilla, if desired. Let steep 10 minutes. Remove saucepan from heat; strain, and return to saucepan. 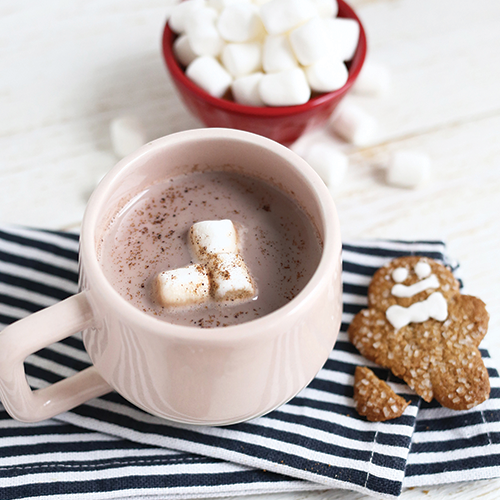 Reheat milk; using a whisk, stir in chocolate until melted and milk is frothy. 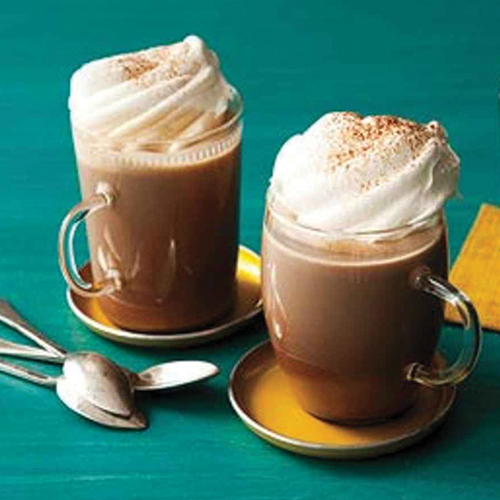 Serve immediately with a dollop of whipped cream garnished with chocolate shavings, if desired. And now the fun part! Choose your booze and get merry with one of these grown-up variations! 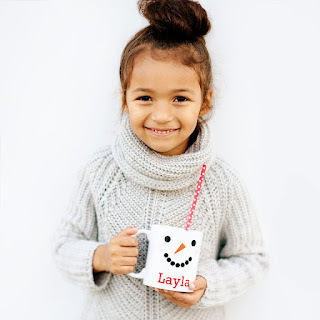 And we swear any of these recipes taste a little better in your very own personalized mug… click here for our favorite snowman mug and a bunch of other awesome designs!